Albanian Prime Minister Sali Berisha announced in a cabinet meeting on Wednesday that the government would push for a law that recognises homosexual marriages. “This is an important law against discrimination,” said Berisha, who often stresses the importance of family values. The prime minister said that the law had already been put to parliament and that MPs should treat it seriously because it provides a legal basis against discrimination, bringing the country into line with a framework already approved by the EU, which Albania aspires to join. 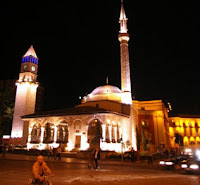 Although deeply secular, Albania is one of only two countries in Europe with a Muslim majority - the other is Bosnia - and it is unclear how the government’s decision will be accepted by the public. While the Albanian parliament decriminalised homosexual relationships in 1995, more than a decade later, gays and lesbians are still heavily stigmatised, and a majority live clandestine lives, fearing that if their sexual orientation is discovered their safety will be endangered. “The attitudes toward homosexuality have not changed much, and they have to protect themselves,” Genci Terpo a human rights lawyer based in Tirana told Balkan Insight in an earlier interview. “It’s not that now, there is any real difference to what we have seen before. They continue to be subjected to discrimination in all walks of life, and that includes state institutions,” he said. According to Terpo, who works for the Albanian Human Rights Group, AHRG, the homosexual community in Tirana is roughly 3,500-strong.